Ciara Mahon Loreto Sec Sch. 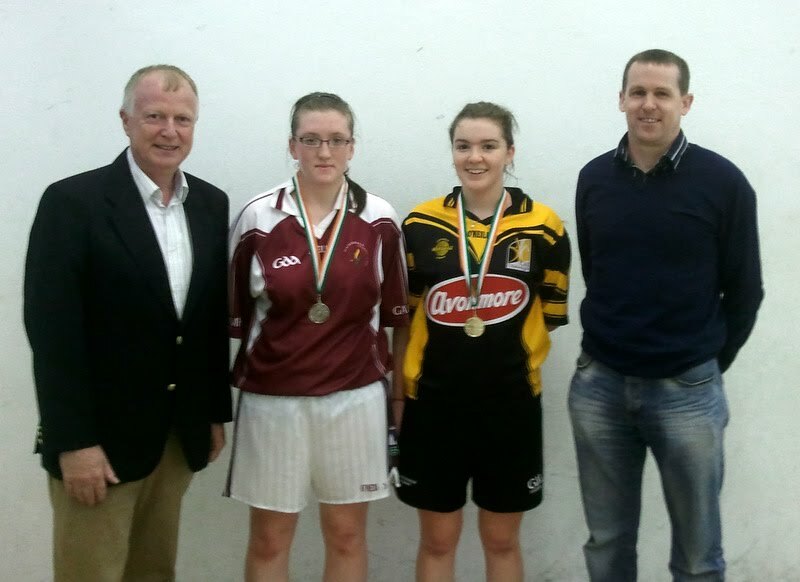 Kilkenny won the Ladies Senior Singles Colleges All Ireland easily beating Roisín Ní Chonghaile Coláiste Na Coirbe Gaillimh in the final 15-1, 15-0. The semi final was a very different match. Here she faced Aishling O Keeffe (Boherbue Comprehensive School, Cork)The game started at a hectic pace with Aishling taking an early lead 9-1 however Ciara battled back but was beaten 15-14 after a nail biting finish .The second game started with Ciara taking an early lead and was winning 14-8 however Aisling did not give up . Ciara won 15-13 after a tremendous battle. In the third game Ciara took control and won 15-7. This is her first Colleges All Ireland title.